Modern French philosophers, especially Post-Structuralists like Derrida, are often accused of writing in an overly obscure and elitist manner. 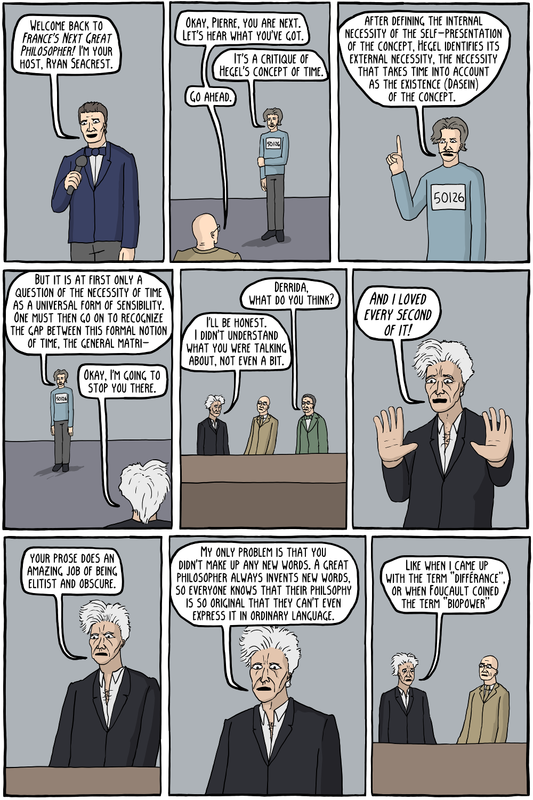 The passage from the contestant is from Derrida himself, but I had to look around a lot to find something that obscure sounding, most of it is much more readable (although I don't want to exaggerate, Derrida is a very difficult philosopher to read). Also, it probably says something that the one difficult passage I found was about Hegel. If you are interested in Derrida and what his idea's actually are, Rick Roderick does a pretty good job explaining it, and dispelling some of the common myths. 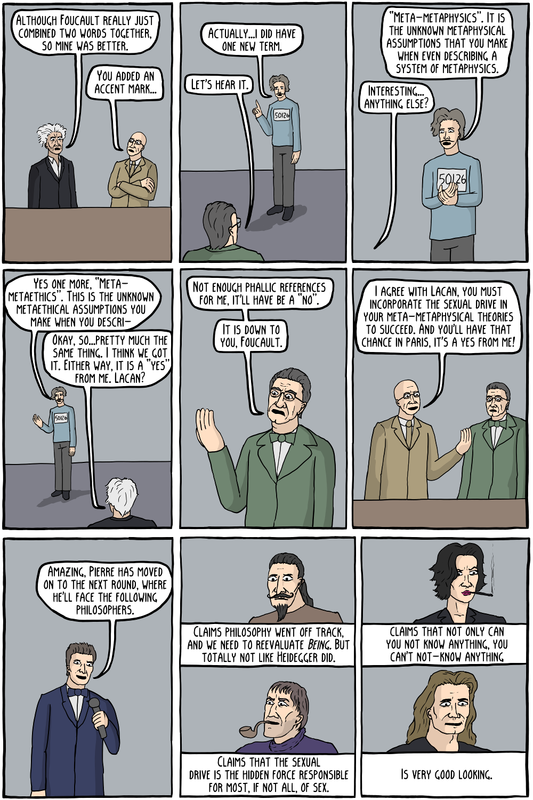 Lacan was kind of like the French Freud, it's all about subconscious penises and stuff.